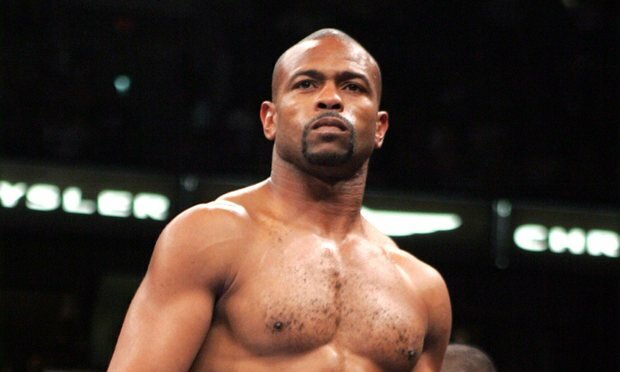 Pensacola, FL, USA: Cruiser: Roy Jones (66-9) W PTS 10 Scott Sigmon (30-12-1). Jones brings the curtain down on his long career with wide unanimous decision over Sigmon. A chubby looking Jones did not always take this fight seriously. He had too much skill for the limited Sigmon and had time to play to the crowd. Jones was content to spend time on the ropes letting Sigmon work away with plenty of light body punches. When Jones cut loose he was scoring with vicious right uppercuts and hooks to the body. Sigmon lost his mouthguard a couple of time but when Jones took the fifth off Sigmon was allowed to do enough to take the round and an entertaining sixth was even when they traded punches. Sigmon looked to be tiring in the seventh and eighth and again Jones was scoring with uppercuts and hooks to the body. Jones took the ninth again with a series of hooks to the body but he was not sustaining his attacks. Jones was trying to stop Sigmon in the last firing quick combinations but Sigmon landed a good overhand right before the bell. Scores 98-92 for Jones from all three judges. Jones admitted he had entered the fight with an injured left bicep but he was still too good for Sigmon. A four division champion at his peak Jones was one of the greats; arguably the most gifted boxer around in the 1990’s when he was voted Fighter of the Decade. If he had retired in 2004 after losing to Antonio Tarver he would have walked away with a 49-2 record with the other loss being a disqualification and been 21-1 in titles fight with again the loss being the disqualification. His legacy would have been untarnished by any qualifications but he chose to fight on for another 13 years so there will always be the “but” being but he fought on longer after he should have retired. It is a minor blot on an otherwise remarkable career. He announced that he was now going to focus on training young fighters. I was still waving goodbye when he ruined his exit by saying he would return but only if he could arrange a fight with UFC’S Anderson Silva which is the last thing I wanted to hear. You were 49 last month Roy get ye gone. Sigmon just an opponent who did his job and tried his best but was never going to spoil the party. Tokyo, Japan: Bantam: Hiroaki Teshigawara (16-2-2) W PTS 12 Jason Canoy (27-8-2). Light: Shuichiro Yoshino (7-0) W TKO 1 Masaki Saito (14-13-6). Teshigawara holds on to the WBO Asian Pacific title but only just after twelve hard, exciting rounds against outsider Canoy. It was Canoy who was out of the blocks quickest rocking Teshigawara with rights in the first. The champion steadied the ship by outfighting Canoy in the second and third but Canoy stayed competitive and edged the fourth in what was turning into a war. At that point it was all even at 38-38 on the cards of the three judges. Teshigawara came on strongly over the middle rounds getting the better of the furious exchanges in all four rounds and had moved in front 78-74 twice and 77-75 on the scores. Canoy was far from finished and he battled back to take the ninth and close the gap slightly and he held his own over the closing three rounds but Teshigawara also fought hard and in the end just did enough to retain his title on scores of 115-113 twice and 116-112. A real test in his first title defence for Teshigawara the WBO No 10. Trained by former WBA champion Koichi Wajima Teshigawara is now 11-1-1 in his last twelve fights. Canoy, 27, achieved a career best win when he stopped then world rated Drian Francisco inside a round but that was in 2015 and he is now 3-3 in his last 6 fights and No 4 in the Philippines ratings. This was a poor match on paper and that’s how it turned out. The taller Saito made a confident start but was nailed by a right cross and went down. He beat the count but Yoshino trapped him on the ropes and was unloading some heavy shots and the referee stepped in and stopped the fight. The 26-year-old Yoshino was making the first defence of his Japanese title and now has 5 wins by KO/TKO. As an amateur he was 104-20 with 55 wins by KO/TKO and is No 2 with the OPBF. The 5’11” Saito, 32, is now 4-4-3 in his last 11 fights and was moving up to ten rounds for the first time. On the credit side his only other inside the distance loss was way back in 2006 in his fourth pro fight. Dallas, TX, USA: Feather: Ray Ximenez (17-1) W PTS 8 Eugene Lagos (12-5-2). Ximenez gets unanimous decision over substitute Lagos in an entertaining contest. Jimenez is certainly a colourful fighter with his red dyed hair and hands down flashy switch hitting style but there is a lot of substance there also. The hand speed of Jimenez was a big factor here. He was throwing quick combinations raking Lagos with punches from both hands. Lagos was competitive all the way. He did not have the power to hurt Jimenez but he was willing to stand and trade even though coming off worst in most exchanges. With Jimenez not being a power puncher Lagos was never in any deep trouble although outworked and outscored. The cards read 78-74 twice and 79-73 for Jimenez. The 25-year-old from Dallas lost to Chris Diaz in 2016 in a clash of unbeaten fighters and this is his fourth win as he rebuilds. Filipino Lagos, 22, is now 4-3 in his last 7 fights. Laredo, TX, USA: Super Feather: Randy Moreno (12-1) W TKO 6 Jorge Castaneda (9-1). Moreno gets win in clash of fighters with high kayo percentages and takes Castaneda’s title. The 22-year-old stopped Castaneda in the sixth round to get his tenth win by KO/TKO and to also lift Castaneda’s WBC Inter-Continental Youth title. Local favourite Castaneda, 21, had won all of his fights by KO/TKO and only had to go past the third round once so this was a minor upset. Venado Tuerto, Argentina: Light: Elias Araujo (18-0) W TEC DEC 10 Javier Clavero (22-4).Welter: Juan Velasco (19-0) W KO 7 Sergio Liendo (10-4,1ND). Home town fighter Araujo climbs off the floor to get big win over Clavero also taking away Clavero’s Argentinian title and retaining his own WBC Latino belt. Araujo suffered his first knockdown as a pro in the opening round when a straight left/right cross combination put him down. He beat the count and from the second he outworked Clavero to build a lead. In the tenth a clash of heads saw Clavero suffer a bad cut on his forehead which ran vertically from just over his left eye. It was much too bad for the fight to continue. It went to the cards with the tenth being scored and Araujo took the unanimous verdict by 97-93, 96-93 and 97-95. The 30-year-old “El Macho” was No 3 in the Argentinian ratings going in and was defending his WBC Latino title for the third time. Clavero, 24, was making the first defence of his national title. He put together a run of 16 wins before losing tough assignments against Aik Shakhnazaryan and Yvon Mendy so this is another setback for him. Velasco gets inside the distance win with stoppage of Liendo. The 30-year-old “PitBull” just edged the first but then took the fight over never letting Liendo get into the fight. Velasco had won every round before the start of the seventh and he ended the fight with two knockdowns coming from left hooks to the body. Now 11 wins by KO/TKO for the Argentinian No 1 super light. Poor Liendo now has 13 losses by KO/TKO. Lautaro, Chile: Feather: Cristian Palma (27-10-1) W PTS 10 Jeremias Ulibarre (7-6-1). Light: Carlos Diaz (5-1-1) W PTS 10 Hardy Paredes (18-16). Palma survives a near disastrous second round to outpoint Argentinian Ulibarre. Fighting in his home town Palma made a confident start. He had a much longer reach and in the first had Ulibarre on the retreat and scored with some thumping left hooks to the body. Ulibarre came out swinging in the second and Palma let himself be dragged into a wild exchange. A right to the head put Palma down and he was badly shaken. Ulibarre then wrestled Palma to the floor before another right put Palma down again with Ulibarre complaining about the counts being slow. Ulibarre had Palma down again just before the bell but could not finish things so missed his big chance and he never really had Palma in trouble again. Palma did most of the pressing after that and again had Ulibarre on the back foot and emerged a clear winner although the scores were too wide. They were 97-91twice and 96-92 all for Palma. The 32-year-old “El Tigre” was making the first defence of the South American title. He was knocked out by Mitchell Smith in London in 2015 but has now won seven on the bounce since then. “El Gaucho” Ulibarre is really just a prelim level fighter. He missed his chance to win his first title here. Diaz makes it a double for Lautaro as he decisions unlucky Paredes in front of delighted home fans. Paredes was the aggressor early with Diaz boxing cleverly and building an early lead. In the fifth Paredes started to show signs of problems with his left arm and eventually he was fighting virtually with just one arm usable. He took lots of punishment and made efforts to fight back when he could but in the end he needed plenty of guts to stay there to the end. Scores given as 99-87,100-90 and 99-91. The 24-year-old Diaz wins the vacant Chilean title. He has won his last three fights. He had never been past six rounds before. His loss was in a prelim fight in Canada. The experienced Paredes has been in with Terrence Crawford, Takahiro Ao, Robert Easter, Casey Ramos and other top names. Maipu, Chile: Welter: Cristian Salas (8-1) W PTS 10 Cesar Inalef (21-9-2). Salas holds on to his interim WBC Latino title-but only just as he scrapes by Argentinian Inalef on a majority decision. Inalef seemed on his way to victory after flooring the Chilean in the first and fourth rounds but Salas bounced back scoring well with combinations throughout the remaining rounds. Even then it seemed that Inalef had done enough to earn at least a draw but you get no favours in the other man’s territory. Scores 95-93 twice for Salas and 95-95. The 32-year-old winner form Santiago was making the first defence of his tile and has won his last four fights. Inalef 32, a former Argentinian title challenger, was stopped in five rounds by Brit Jack Catterall in 2015, his only inside the distance loss. Bristol, England: Super Light: Joe Hughes (16-3-1) W TKO 7 Ruben Rodriguez (6-3-1). Feather: Duane Winters (8-1) W PTS 8 Dmitrijs Gutmans (4-25-2). Hughes gets inside the distance win but not a very satisfying one. Hughes had dominated the action and looked on his way to a victory after six of the eight rounds. However the Spanish camp claimed that the contract was for a six round fight and confusion ensued. Although Rodriguez eventually agreed to continue the referee considered that by not answering the bell for the seventh round Rodriguez had retired and that was the result. Hughes, who boxes with one arm shorter than the other, had a good result in drawing with Tyrone Nurse for the British title in April last year but lost a wide points decision against Anthony Yigit for the European title in December. A return with Nurse would be a good fight. Rodriguez had won 5 of his last 6 fights. Bristol’s Winters moves to five wins in a row but made hard work of it against Latvian loser Gutmans with the referee scoring the bout 77-76 for Winters. This was the first time Winters had gone up to eight rounds. Gutmans drops to 0-12-1 in his last 13 fights. Cancun, Mexico: Super Feather: Miguel Berchelt (33-1) W TKO 3 Maxwell Awuku (44-4-1). Middle; Jaime Munguia (27-0) W KO 3 Jose Carlos Paz (21-7-1). Super Light Pedro Campa (28-1) W PTS 10 Ivan Alvarez (27-9). Awuku did better in this round. He scored with a straight left and with a combination late in the round but Berchelt was more accurate with his punches and did enough to edge the round. Awuku came forward in this one forcing Berchelt back and getting through with one or two punches. When Berchelt opened up he rocked Awuku with a hard combination and then put him down with a straight right. Awuku made it to his feet but on unsteady legs. Berchelt took him to the ropes and unloaded with head punches from both hands and Awuku slid down the ropes to the floor. He again beat the count but was on the ropes again under fire when the referee stopped the fight. A predictably easy defence for the “Scorpion” against the unrated Awuku in his second title defence as he goes to 29 wins by KO/TKO. Miguel Roman is his No 1 challenger and that will be a much tougher proposition. Former Commonwealth title challenger Awuku showed reasonable skills but has been a pro for 15 years without getting anywhere and once Berchelt turned up the heat he folded. Second poor Ghanaian challenger in quick succession following Gilberto Ramirez being fed Habib Ahmed. Munguia gets another inside the distance win as his body punching undoes Argentinian Paz. Right from the off Munguia was getting through with left hooks to the body. He landed a vicious hook to the ribs and backed Paz to the ropes and dropped him to his knees with a right to the head and a left to the body. Paz looked to his corner as if he did not want any more of Munguia and was slow to get up but he boxed well for the rest of the round although getting caught with some more hooks. Munguia was really loading up on every punch in the second and again Paz looked hurt by a left hook. Despite that he found gaps for some counters and managed to stay out of trouble to the bell. Paz had his best spell in the fight in the third. He moved well, had Munguia on the defensive and scored with a series of punches to the head from both hands. However over the last 30 seconds he made the mistake of standing and trading with Munguia and after being rocked with a right a left to the body dropped him to his knees and he was shaking his head as the referee counted to ten. The 21-year-old from Tijuana now has 23 wins by KO/TKO including 16 in his last 17 fights. He is No 15 with the WBC but has yet to be really tested so he has power but the jury is still out on how far he can go. Third loss by KO/TKO for experienced Paz. He is No 1 in the Argentinian ratings and was coming off two wins against decent level domestic opposition. Campa outscores Alvarez in a tough fight that never really catches fire. In the first southpaw Alvarez tried to to work on the outside with Campa pressing hard trying to come under the jab of Alvarez and work the body, The second was a messy round with Campa again forcing the fight . Alvarez scored with a good left hook to the body but was later docked a point for a low blow. They were both warned for infractions in the third and there was too much clinching for the fight to be entertaining. As long as he could work on the outside Alvarez was doing the scoring but he was not able to keep the swarming Campa out enough. Campa scored with a thudding right in the fifth and finished the round strongly but it was disappointing as a fight. Both seemed to have slowed by the sixth and neither was hitting with power. In between the clinching it was a gruelling fight with Campa just that bit busier and although some of the late rounds were close he was a clear winner. Scores 98-91, 97-92 and 96-93 all for Campa. The 25-year-old from Hermosillo badly needed the boost of a victory after losing his unbeaten label with a kayo loss to Carlos Jimenez in October. Alvarez, 30, was coming off a second round loss to Uriel Perez so a blow to his rebuilding. Mississauga, Canada: Light: Tyson Cave (31-3) W PTS 8 Ulises Perez (17-7). Light: Alex Dilmaghani (17-1,1ND) W RTD 3 Andy Almendras (14-8-1). Cave much too slick and quick for the plodding Perez. The Canadian used flashy footwork and quick hands to befuddle Perez who was never really able to get into the fight. Cave was constantly on the move nipping in with quick burst of punches and getting out before Perez could counter. It was show time all the way from Cave as he held his hands at hip level firing punches off the wrong foot and constantly switching guards. He was getting careless and right from Perez put him down in the fourth. He was up immediately and not hurt-except in the pride department. From there Cave continued his showboating to the end. Scores 78-73 twice and 76-75 all for Cave. “The 36-year-old southpaw “The Prince of Hali” took the fight as a substitute but just had too much of everything for the limited Perez. He is the Canadian super bantam champion so was fighting out of his division. He lost a split decision to Oscar Escandon for the interim WBA title and this is his seventh win since then. Perez is 0-3 in fights in Canada. Toronto-based British southpaw Dilmaghani extends his unbeaten run to 13 fights, 12-0,1ND, as he forces Bolivian corner to pull their man out of the fight after three rounds. Dilmaghani started his career in Britain then moved to Mexico where he sparred with Juan Manuel Marquez and trained under Nacho Beristan. When fights dried up in Mexico he moved to Canada. Almendras had won his last five fights. Shawinigan, Canada: Heavy: Simon Kean (13-0) W KO 8 Alexis Santos (18-3). Super Light: Mathieu Germain (13-0) W TKO 8 Cam O’Connell (16-2-1). Super Welter: Steven Butler (22-1-1) W KO 1 Uriel Gonzalez (16-4-1). ”The Grizzly” gets another win inside the distance. The big Canadian, 6’5” (196cm) had lots of height, reach and weight over Santos and in the end that combination was too much for the 6’0” (183cm) Santos. The opening rounds were fairly even. Kean mostly stuck to his jab using it to score on the outside. Santos tried to take the fight to Kean but the height difference and Kean’s strong jab made it difficult for the Lawrence fighter. Santos tried to take Kean off his fight plan by taunting the Trois-Rivieres fighter but Kean continued to box and land some hard body punches. Santos kept coming and was scoring with some good body punches making this the sternest test Kean had faced so far. His corner had been telling Kean to use his right more and in the sixth he used that hand to knock Santos over for the first time. Santos made it to his feet but was put down again and he beat the count with the bell saving him. Santos seemed to recover in the seventh although both boxers were tired. In the eighth Santos again managed to land a couple of punches to the body but a series of clubbing rights from Kean put him down heavily and the referee waived the fight off without a count. Kean now has 12 wins by KO/TKO and was defending his IBO Inter-Continental title. He is hugely muscled which to some extent limits his speed but he does have power. He bravely returned to the ring after a motoring accident which put him in a wheelchair but on the debit side he has been in some serious trouble out of the ring. Santos had won 5 of his last 6 fights with the loss coming on a split decision to unbeaten Irish fighter Niall Kennedy in September. He gave Kean a test but was just too small to really pose a threat. Germain proves too strong for O’Connell in a hard fought contest between two of Canada’s best boxers. Germain was giving away a little in reach but his aggression made up for that. Germain made a fast start as O’Connell tried to box on the outside but could not keep Germain out. From the third O’Connell changed his tactics and stood and traded more. It was a high paced fight with both landing heavy overhand rights. Germain’s pressure saw him score with a series of punches in the fourth with O’Connell forced to take a knee. He recovered and although his work rate dropped he was able to counter Germain’s attacks in the fifth and sixth but was noticeably slowing in the seventh due to the pace of Germain’s attacks. Germain kept the pressure on in the eighth and dropped O’Connell late in the round. O’Connell had nothing left and his corner were signalling for the fight to be stopped which the referee had already decided to do. This victory gives the 28-year-old Germain his seventh win by KO/TKO. He has made good progress against a decent level of opposition. With O’Connell being the Canadian No 1lightweight this is his best win so far with the added bonus of this being an eliminator for the Commonwealth title. O’Connell’s only other loss was a ten round decision against world rated Tony Luis in June last year. Limoges, France: Middle: Karim Achour (26-4-3) W PTS 12 Patrice Sou Toke (23-6-1). Super Light: Yazid Amghar (19-0) W RTD 4 Giorgi Gviniashvili (13-10-1). Local fighter Achour adds the WBC International title to his collection and extends his unbeaten run. Achour fought in his usual aggressive manner and set too high a work rate for his opponent from Burkina Faso. Sou Toke took his punishment and refused to crumble but was never really in the fight with any sort of chance. Scores 120-108, 119-109 and 118-110 as Achour lifts the vacant title. The 31-year-old former undefeated French champion was suspended for six months in 2015 for a doping offence. He is now 12-0-1 in his last 13 fights and No 4 in the EBU ratings. “Le Bombadier” Sou Toke is a former African Boxing Union champion. French champion Amghar wins all the way in this one until the Georgian’s corner pulls their man out of the fight after four one-sided rounds. Seven wins by KO/TKO for Amghar who had a good result last year scoring a victory over the unbeaten Olympic silver medallist Daouda Sow. He is No 19 in the EBU ratings in a strong division. Juarez, Mexico: Super Feather: Miguel Roman (59-12) W TKO 4 Aristides Perez (31-11-2). Roman hands out brutal beating to Perez to protect his WBC No 1 rating. Roman was looking to end this early to cement his position in the ratings and to impress as a potential challenger to Miguel Berchelt. Roman dominated the first two rounds and brutalised poor Perez in the third with thunderous shots to head and body. The fight should have been stopped then. However Perez was sent out for the fourth and the beating continued until the referee finally halted the action late in the round. Roman wins the vacant WBC Fecarbox title and gets win No 46 by KO/TKO. “Mickey” has made a habit of losing the big fights but inside the distance wins over Nery Saguilan and Orlando Salido should see him get what should be one last shot at a title. Sixth loss by KO/TKO for Colombian Perez who lost to Humberto Soto for the WBC feather title back in 2009. Philadelphia, PA, USA: Light: Henry Lundy (29-6-1) W PTS 8 DeMarcus Corley (50-29-1). Super Middle: Derrick Webster (25-1) W PTS 8 Francisco Cordero (38-10). Lundy gets points victory over veteran Corley. Lundy did not seem able to decide whether to box orthodox or southpaw over the early rounds. Corley used all of his experience to pose problems for Lundy slipping and countering from his southpaw stance and rocking Lundy in the fourth. Unfortunately Lundy had more success than Corley in the fourth and just before the bell a right floored Corley. He beat the count but for the rest of the fight his work rate dropped. Lundy worked his jab well and Corley had trouble getting past the punch. Lundy was also stronger over the late rounds with Corley slowing and eventually really just trying to go the distance. Scores 79-72 twice and 78-73. Lundy’s losses have all come against highly rated fighters and he was stopped in five rounds by Terrence Crawford in a challenge for the WBO super light title in 2016. He has stayed active and this is his third win since the Crawford loss. The 43-year-old Corley seems to have been around forever and it is almost 17 years since he won the WBO super light title. He had won 6 0f his last 7 fights. Only 20 more to get to the 100 DeMarcus. Webster wins against a chubby and too small Cordero. For much of the fight the 6’4” tall Webster was able to use his huge reach advantage to outbox Cordero. The little Colombian proved a handful at times swarming forward throwing overhand rights. However for most of the fight he was stuck on the end of Webster’s jab and had to take punches to get close. He kept trying but never really threatened Webster’s control of the fight. Scores 80-72 twice and 79-73. Webster was flying high winning his first 19 fights until he was outpointed by unbeaten Arif Magomedov in 2015. He took eleven months off after that defeat and this is his sixth win as he rebuilds but at 35 time is not on his side. All you really need to know about Cordero is that he weighed 127lbs in his first pro fight and was 169lbs here. He goes home to Colombian when he needs a win and loses inside the distance when he travels. Nysa, Poland: Cruiser: Krzys Wlodarczyk (54-4-1) W RTD 2 Adam Gadajew (17-15). Cruiser; Krzys Glowacki (29-1) W PTS 8 Serhiy Radchenko (6-1). Light Heavy: Pawel Stepien (8-0) W KO 1 Benson Mwakyembe (11-4-1). Glowacki gets points win over late replacement Radchenko but has to climb off the floor for victory. Southpaw Glowacki was quicker and more accurate than Radchenko and scored well with his jab and lefts to head and body. Radchenko showed up well boxing on the back foot looking to draw the lead and counter and he scored with some sharp rights. A clash of heads saw Radchenko cut under the left eye . In a dramatic fifth Radchenko was still looking to land that right. As they clashed Glowacki went down but it was ruled a push. There had been a punch in there and Rabchenko stormed forward landing a series of head punches. Glowacki’s knees dipped. He managed to stay upright but staggered to the ropes and almost went down again. He turned off the ropes only to drop to the canvas under a couple more punches from Radchenko. After the eight count Rabchenko bounced some more bombs off the head of Glowacki but he damaged his chances by hitting after the break and the referee called a time out and warned Radchenko and Glowacki survived to the bell. Glowacki boxed more cautiously after that picking his punches and not looking to stand and trade. Radchenko landed some more jolting rights but he tired badly over the last two rounds. Scores 77-74 for Glowacki on all cards but the 31-year-old former WBO cruiser champion was on the verge of a disaster for a while in the fifth. Radchenko, 31, was having his first fight outside of his native Ukraine and in only his second eight round fight and he certainly gave Glowacki a scare. This one is farcically easy for Stepien. Tanzanian Mwakyembe had seriously flawed technique with poor footwork and a loose defence. After Mwakyembe missed badly with a couple of punches Stepien moved forward and landed a long right to the body. Mwakyembe took three steps back then fell to the canvas on his side and rolled onto his back and was counted out. It was some time before he got up. All over in under two minutes. Stepien moves to seven wins by KO/TKO including four first round wins. He has faced some reasonable level opposition for someone of his experience. Mwakyembe, 36, was very poor and this is his fourth loss by KO/TKO. Ekaterinburg, Russia: Super Feather: Shavkatdzhon Rakhimov (12-0) W TKO 8 Malcolm Klassen (33-8-2). Super Feather: Muhammadkhuja Yaqubov (11-0) W PTS 12 Mark Urvanov (12-2). Welter: W Islam Dumanov (8-1) W PTS 10 Dmitry Mikhaylenko (22-3). Heavy: Evgeny Romanov (8-0) W TKO 7 German Skobenko (4-1-2). Strength, aggression and youth of Russian “Cotto” Rakhimov just too much in the end for brave South African in an exciting contest. Klassen boxed well over the first two minutes of the opening round jabbing quickly and scoring to the body. Rakhimov really came to life just before the bell forcing Klassen to the ropes and letting fly with a series of left hooks. There were some good exchanges in the second until Rakhimov bulled Klassen to the ropes and again landed with left hooks. Klassen took a shot to the side of the head and went down on one knee. He was pawing at his left eye as if he had been caught with a thumb. He easily beat the count and actually came forward and had driven Rakhimov back at the bell. Klassen was still .looking to trade in the third until when pinned on the ropes he was quite clearly hit by a thumb in his eye. He bent over rubbing the eye. The referee stopped the action to see what the problem was but allowed the fight to continue and again Klassen stood and punched with Rakhimov but the youth and strength of the Russian was beginning to tell. Rakhimov trapped Klassen on the ropes in the fourth and worked him over but the South African again fired back. Rakhimov forced the fight hard in the fifth and sixth scoring with clubbing shots to head and body. Although his left eye was closing Klassen punched back time and again showing some classy hooks and uppercuts in a ding dong battle and for most of the seventh it was Rakhimov going back and under pressure. That changed in the last 15 seconds as a left shook Klassen badly and sent his mouthguard flying. Rakhimov landed hard with both hands and looked close to finishing it. Klassen was coming forward in the eighth when a volley of body punches from Rakhimov saw him turn away and go down on one knee. Klassen took out his mouthguard and stayed on his knee for the full ten. Great learning fight for the 23-year-old from Tajikistan. He was national champion in 2013, 2014 and 2015 and competed at the 2013 World Championships. He retains his IBO title with his ninth win by KO/TKO. Klassen, twice an IBF super feather champion, still has some great moves but at 36 is fading and this was only his second fight in 18 months. Yaqubov makes it a good night for Tajik fighters as he wins both the IBF Baltic and WBA Continental vacant titles. The promising young southpaw just had the edge in speed over Russian Urvanov and built an early lead helped by a flash knockdown when he knocked Urvanov into the ropes and the Russian put his glove on the floor to stay up. Yaqubov showed great footwork and fast fists and scored repeatedly with straight lefts. Urvanov never stopped coming and over the late rounds his strength had Yaqubov under heavy pressure in a good, competitive scrap. Scores 117-110 twice and 116-111 for Yaqubov. The 22-year-old Tajik had won 6 of his last 7 fights by KO/TKO and was going twelve rounds for the first time. He looks a good prospect. Russian “Canelo” Urvanov, 22, had won twelve in a row prior to this one. Dumanov scores upset as he outpoints heavily favoured Mikhaylenko. It was a controversial split decision with Mikhaylenko making a good start and Dumanov getting stronger with each round. Mikhaylenko had the heavier punch but was just not throwing enough and it looked a fair result. Scores 97-73 and 96-94 for Dumanov and 97-93 for Mikhaylenko. Then 25-year-old Dumanov was going ten rounds for the first time and stood the pace well against the more experienced Mikhaylenko. Russian Mikhaylenko had won his first 21 fights but was derailed by losses to Charles Manyuchi and Kudratillo Abdukakhorov in WBC Silver title fights. Romanov racks up another win as he beats Skobenko. Although these two were the same height Skobenko was 42lbs heavier with most of that extra weight around his middle. That was in Skobenko’s favour early as he was able to use his additional weight inside to bull Romanov around. Romanov did better in the third and fourth but looked to be tiring in the fifth. He picked up the pace again in the sixth pounding Skobenko to the body and landing big rights to the head. In the seventh a stiff jab and a right cross to the head was enough to have Skobenko turning away and walking to his corner and the fight was over. The 32-year-old Romanov was Russian amateur champion and in a Russia vs. USA match in February 2008 he halted Deontay Wilder in three rounds dropping him and forcing two standing counts. After winning a gold medal at a tournament in 2010 he dropped out of boxing until turning pro in July 2016. He gets his fifth win by TKO/KO in his first eighth round fight. It’s a pity he did not turn pro in 2010. Ukrainian Skobenko had drawn each of his last two fights. Saint Petersburg, Russia: Super Welter: Evgeny Terentiev (11-0) W PTS 10 Nikolozi Gviniashvili (19-10-4). This one was held in the largest Chinese restaurant in Europe but no take away for visitor Gviniashvili. Southpaw Terentiev outworked the smaller, stocky Georgian over the early rounds but Terentiev does not have a great chin and looked vulnerable at times. That was proven in the sixth when he found himself on the floor. He recovered and outboxed Gviniashvili but looked to be rocked again in the seventh. In the eighth the referee deducted a point from Gviniashvili for hitting on the break. He had been given a number of warnings for this offence and the referee went to his corner to tell him to behave but he ignored the good advice and paid the penalty. Terentiev boxed his way through the eighth and ninth. He was rocked again in the tenth and after a clash of heads which opened a cut over the Georgian’s left eye the referee deducted a point from Terentiev under the WBC rule to take a point from the uncut boxer. Despite the deduction Terentiev was a clear winner. Scores 97-90 twice and 95-92 all for Terentiev. The 25-year-old local fighter wins the WBC International Silver title. Gviniashvili, 28 was making his first defence of the title that he had won by beating Chinese fighter Cheng Su in August. Brooks, CA, USA: Welter: Alan Sanchez (20-3-1) W PTS 8 Ramses Agaton (20-7-3). Light Heavy: Jose Hernandez (19-3-1) W PTS 8 Ryan Bourland (14-2). Fly: Bruno Escalante (16-3-1) W TKO 6 Javier Gallo (25-15-1,1ND). Californian hope Sanchez much too good for experienced Agaton. Initially Sanchez had problems with the awkward southpaw style of the Mexican but was able to take the rounds. From the mid way point Sanchez had Agaton figured out and swept the remaining rounds to emerge the winner by a large margin. Scores 80-72 from all three judges. The 26-year-old Sanchez has lost just one of his last 16 fights and that was a decision against former WBA champion Luis Collazo in 2013. He has scored seven wins since then including victories over Ed Paredes, Pablo Cesar Cano and Miguel Huerta so he looks ready to step up in class again. Agaton was 2-4 going into this one but the four losses were all against unbeaten fighters who had combined records of 70-0! The more experienced Hernandez pulled out a win here taking a majority decision over fellow-Californian Bourland. Both fighters were in good form recently and it was a gruelling close-quarters affair. Many thought Bourland had done enough but the scores went the way of Hernandez by 77-75 twice and 76-76. The 35-year-old Hernandez had won 12 of his last 13 fights going into this one and Bourland, 29 had won his last 7. Redwood City-based Filipino Escalante gets a needed win. He controlled this one flooring Mexican Gallo twice before forcing the stoppage in the sixth round. After a nine fight winning run the 29-year-old Escalante had lost 2 of his last 3 fights so gets back on track. Gallo had won 4 of his last 5 fights. Managua, Nicaragua: Super Bantam: Alex Mejia (9-1) W PTS 11 Edwin Tercero (11-6-1). “Popeye” Mejia rebounds from his first pro loss with a wide unanimous verdict over fellow Nicaraguan Tercero. Mejia fought at his usual all out pace throwing plenty of punches and leaving lots of gaps in his defence Tercero scored well with counters in the first and took that round. Mejia did not help his case by spitting out his mouthguard twice in the third round which cost him a point. From the fourth he simply outworked Tercero in every round before easing up in the eleventh and last round which Tercero also looked to have edged. Scores 108-100, 107-102 and 106 ½-103 as Mejia retains the WBA Fedelatin title in his first defence. His only loss was a very creditable majority defeat against former WBO featherweight title challenger Hiroshige Osawa in Japan in December. Twenty-eight-year-old former field worked Tercero who did not turn pro until he was 26 had won his last five fights. Park City, KS, USA: Bantam: Nico Hernandez (4-0) W TKO 5 Victor Torres (2-8-1). Olympian Hernandez delights his local fans with stoppage of Torres. Hernandez showcased his skills being too quick and too mobile for Torres to get into the fight. Constantly switching guards Hernandez was able to bang home punches in every round breaking Torres down until the referee halted the one-sided contest in the fifth. The 22-year-old Hernandez won a bronze medal at the Rio Games being one of only two US fighters to come home with a medal. He was National Golden Gloves champion in 2013 and competed at the World Youth and World Championships and in the WSB. Sixth loss in a row for Torres and first inside the distance loss.